Alright, currently I just can't motivate myself to paint anything, so I figured I'll just settle on converting minis for the time being. I have been rather productive in this regard, and now it seems about time to show off some of my recent creations. 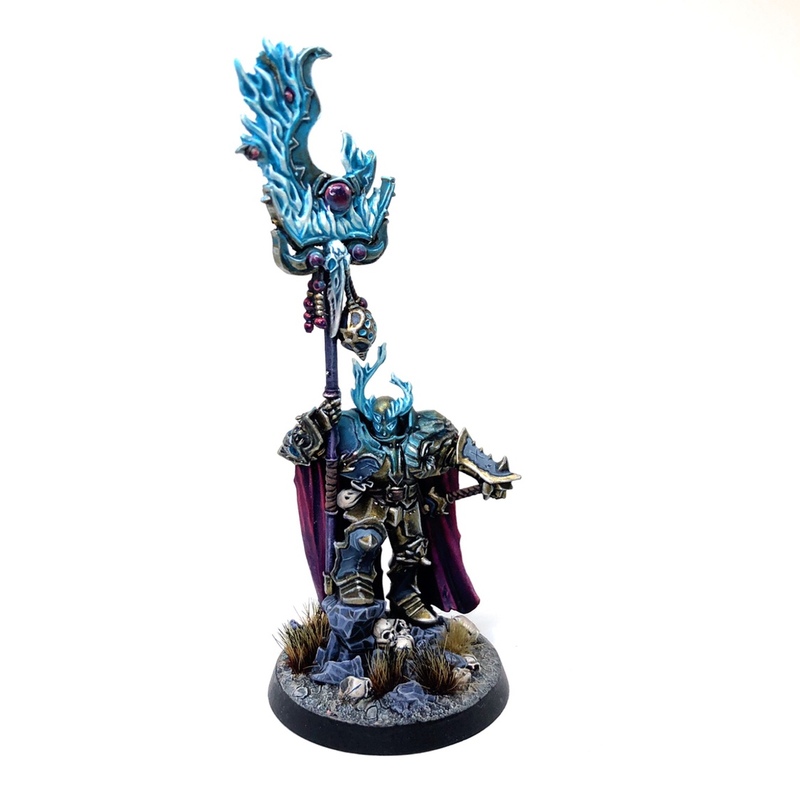 I'll kick off with a big model I have converted a couple weeks ago already: Ëylon Gnosis the Apostate. 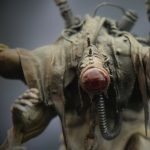 The idea is that he is a Keeper of Secrets who now serves Nurgle together with the rest of the Honoured Decaying Mother's court. The model is based on a Mierce miniature, with some parts taken from a Maulerfiend and some Ork Dread bitz. I am very pleased with the pose of the finished miniature, and its mere size is impressive. Why hasn't this gotten more comments yet? This is brilliant! In fact, the whole blog is amazing! Brilliantly imaginative and decayingly disturbing. More please! I think I haven't succeeded in bringing my blog to the attention of a wider public to date, hence the relatively small number of comments/followers. I think I should start a thread on Dakka to remedy this... well, next week. Sorry for not commenting sooner. Bbrilliant work! World Globe - Unfinished world globe suited for Dark Heresy or Only War. Ratty man 2 - A slightly better pic, with some additional parts.